When you write your CV, you are trying to sell yourself on paper. This is probably the first contact you have with your potential future employees. Given that first impressions are so important, it is crucial that the five minutes any reader will spend on your CV will be time well spent for them. That means the time you take on writing and checking your CV is critical, and it is vital not to make any mistakes. What are the most common CV mistakes? Here is a discussion of the top five. It is amazing how many CVs contain mistakes, such as an old mobile number, an incorrectly typed email address, or the wrong official name for a company that you’ve worked for. Even if your spelling and grammar (covered in the next mistake) are not perfect, there really is no excuse for getting fundamental information wrong – especially if it’s your own. If a potential employer likes the look of your CV, and tries to ring your mobile number, only to find it unobtainable, what do you think will happen next? Precisely nothing … except that your CV will be put on the scrap heap. That company you used to work for: was it Easyjet, EasyJet, easyjet or easyJet? There’s no excuse. Check the details, and when you’ve checked them, check them again! Your spelling and grammar may not be the best in the world. It is best to get your CV professionally checked and proofread. It should not cost too much as your CV should only be about a thousand words. However, if you choose not to have such a service, then you should take simple precautions. Get someone else to read your CV, and ask them to comment about spelling and grammar. If you are using word processing software on a PC, make sure you’ve got UK spell checking turned on (or maybe US, if you’re applying to a US company). Check every word that is highlighted and use a dictionary to verify the correct spelling. Treat the grammar checkers with some care; but if grammar is highlighted, try and understand why. To repeat what was said in the last section, check the names of companies and institutions that you mention. If you can’t be bothered to get those right, any reader will think that your attitude is slapdash and error-prone. If you have a major problem with grammar, then it’s a good idea to keep your sentences short. Do not try to fill two pages for the sake of it. If you haven’t got much to say, then filling out your CV by saying things like “I spent time learning how to utilise…” when you mean “I used…”, it will be only to evident to the reader. Remember, they will be reading many CVs, and after a few they will be quickly fed up. Therefore, make your CV interesting and to the point. If that means making it short, then Make It Short! Going into minute detail about every one of your duties, or even every one of your achievements, going back thirty, twenty or even ten years is not necessary and will frustrate the reader. Pick out the best, and make them read in an interesting way. On a similar theme, some CVs tell the reader what they’ve done or achieved as many as three times: once in the profile summary; a second time in key achievements; and a third time in career history. Any reader will be asleep long before they reach the third telling of the same tale. Once is quite enough for each item. If you mention the same thing more than once, you might think you’re emphasising its importance, whereas the reader will wonder why you have to mention so many times; was there nothing else. Keep it to the point, interesting and snappy. Readers of CVs will also see through any attempts to make vague statements that might apply to anyone, e.g. “seeking a challenging position in a professional environment”. Isn’t everyone? It tells the reader nothing. Take a similar rap for such clichés as “good team-worker”, “good communicator” and other similar statements. At the very least, back up such statements with examples. 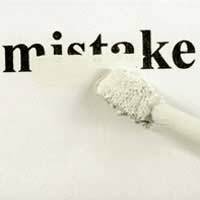 Try and avoid fundamental mistakes in your CV. Make it error-free, interesting, to the point and relevant.